Once start is pressed, the player will enter into the realm of bit Dungeon II. 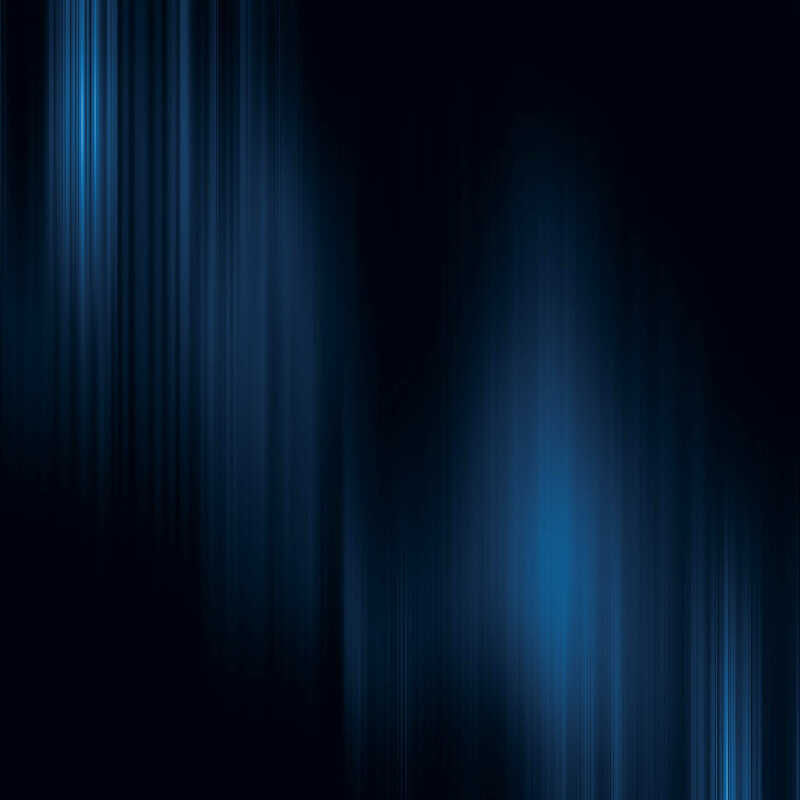 The first thing that happens is a greeting from the ghost girl, who is waiting beside a blue campfire. She offers her heart in the hopes that she will be freed from the curse that keeps her dwelling within this land. That’s the story, and that’s me giving it more detail than was actually given when I played the game. As far as story-driven games go, this isn’t one of them. 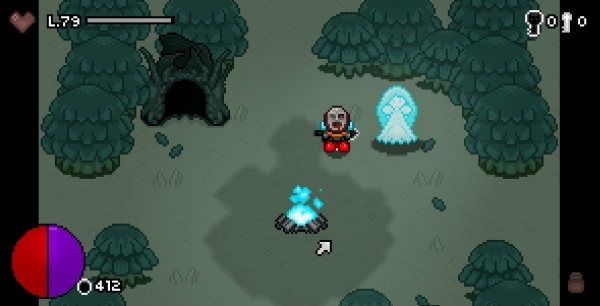 The developer of bit Dungeon II is KintoGames, and they have given the player the opportunity to create his or her own story as he or she plays through this fantastical world. I am surprised I’m going to say this, but even though I find bit Dungeon II to be lacking in story development, it really is a great gem of a game. I wish the story would have had more detail, but after playing for a bit (pun intended), I do believe it’s possible to make a great game without having much of a story attached to it, which stuns me into submission. 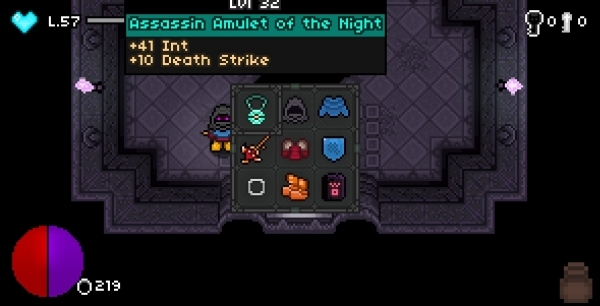 bit Dungeon II is a challenging and engaging Rogue-like experience. Anyone who enjoys this genre will find it to be a must own for his or her collection. It may feel difficult at first, but once the player finds a groove, learns the map, and learns in what order each dungeon should be completed, the game will get much easier. It has the right mix of challenge without feeling too frustrating. 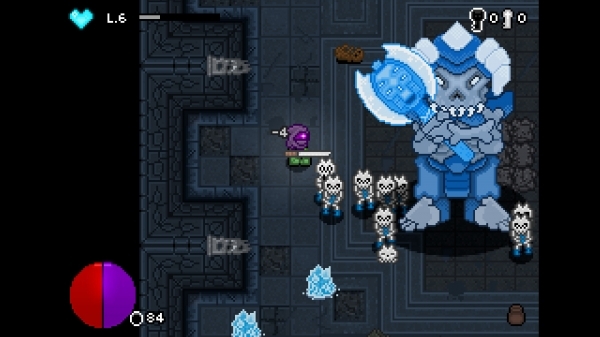 Each dungeon has its own unique monsters and boss. Players will really have to figure out which dungeons they enjoy playing and want to save towards the end, and which ones may need to be knocked out a little sooner in their playthrough. It is going to come down to play style and personal preference. In that regard bit Dungeon II feels very special and unique. It is a throwback nod to Zelda in design. However, the challenge is very much a nod to Dark Souls. If you could put Dark Souls on easy, then in theory, you would have bit Dungeon II. My only real complaints about the game are that it has no mini map, and it’s lacking in its control scheme. Basically you press one button to attack; press and hold the same button for your special attack, and yet again press the same button for picking up loot. More than once I accidentally picked up something without realizing it, and by the time I did realize it in the next room, the item was long gone. Can we pick up and switch loot with a different button please? KintoGames has stated that they are working on fixes for all of these complaints. The game currently has a Beta phase for these changes that anyone can access upon purchasing bit Dungeon II. The player will have to opt into it in order to gain access. Every time bit Dungeon II is completed it recycles into a New Game Plus mode. Literally the adventure only ends when the player decides it does or when the character dies. However, can someone really allow an experience to end in defeat? Not if you’re anything like me. 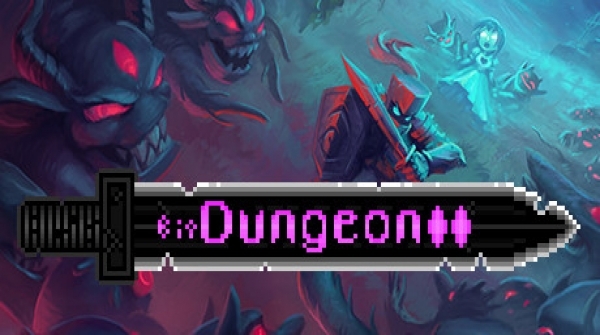 I had an incredible amount of fun while playing and streaming bit Dungeon II. I even started challenging myself to do speed runs of it. The price of the game is $4.99 on Steam and $5.00 on iOS or Android devices, which I think based on the price alone everyone should just say, “sold”. If you manage to find this game discounted, then buy it. It’s an absolute steal at any sale price. This entry was posted in Android, iOS, PC, Post, Reviews and tagged Android, bit Dungeon II, edg, everyday gamers, ios, KintoGames, PC, review, Saint Killjoy, steam, Travis Patterson. Bookmark the permalink.